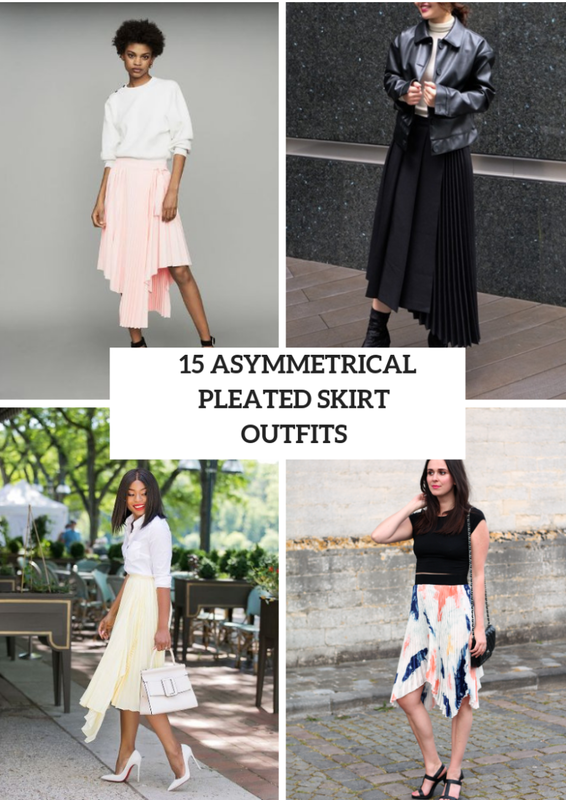 If you like to wear pleated skirts, then I’m sure you will fall in love with trendy and unique asymmetrical ones. Many fashionistas around the world create adorable and so stylish outfits with them, so no doubt you should follow their examples. 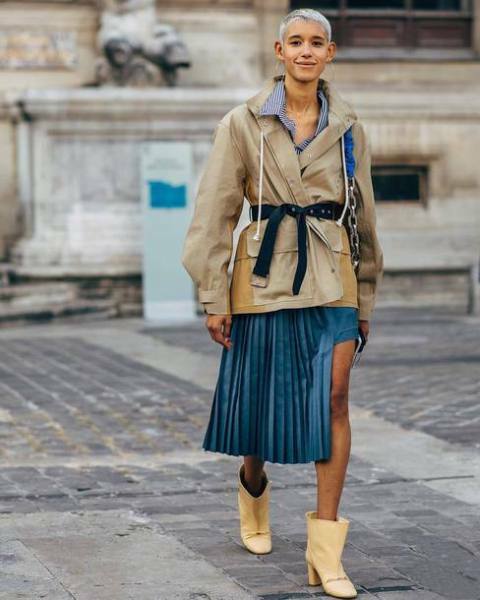 Today you can consider some ways how you can combine such skirts with other pieces of clothes, accessories and shoes and make comfy and elegant outfits for spring and summer days. 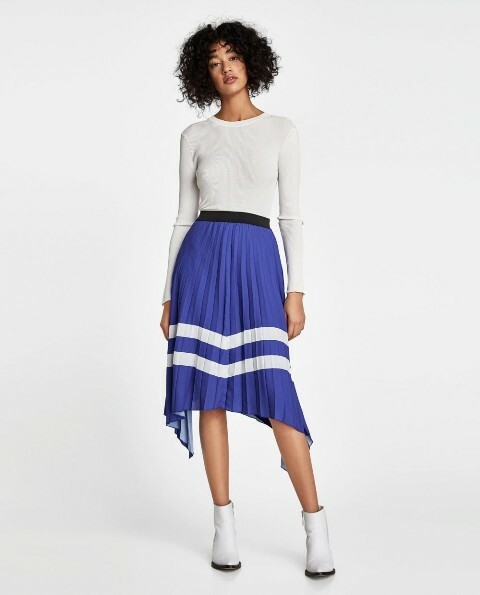 I should mention that you can choose any colors or even prints for your new item, and, of course, don’t forget about a length of a skirt (the most popular ones are knee-length and midi). Right now you can scroll down and see all pics. For colder spring days you can choose a sweatshirt or even a sweater. For example, you can take a light blue long sweater and combine it with a printed scarf, sunglasses, a black leather clutch, a black asymmetrical pleated skirt and black pumps. Or choose a white loose sweatshirt and pair it with a pale pink skirt and black ankle strap high heels. If you want to create something feminine and gentle, then you should pay an attention to pastel colored pieces of clothes. So try to repeat a combination with a white button down shirt, a light yellow asymmetrical pleated midi skirt, a white leather bag and white pumps. Or you can change a yellow skirt to a pale pink one and white shoes to funny colorful pom pom sandals. Such skirts look gorgeous with rock’n’roll leather jackets, so you can mix a black top with a black leather jacket, a pale pink skirt and platform sandals. For creating a more relaxed look you can combine a white blouse with a white loose cardigan, a yellow leather bag, a printed pleated midi skirt and white mules.